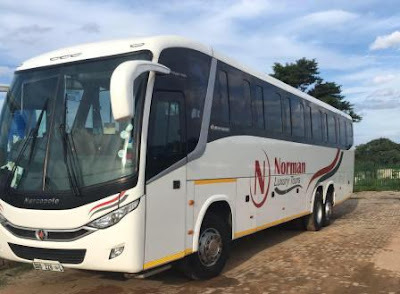 Norman Luxury Tours Is a transport company which began it's operations in 2002 after the owner realised a deep need for transportation services in the Greater Tzaneen area and Limpopo province as a whole . Four years later Mr Norman Motau , the man behind the service , bought more buses as the need for transportation services continued to grow. This was the start of a journey that would lead to the 36 plus bus fleet that is servicing the areas of Lenyenye , Sekgosese , Bolobedu , Kgapane , Tzaneen , Polokwane and the entire country of South Africa . 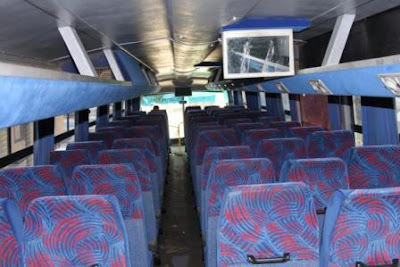 They have invested in the mix of fleet as they have their Local made Scania MCV with 2 by 3 seating configurations and also they have Scania Marcopolo Buses with 2 by 2 reclining seats. All of these types of fleet are equipped with On board entertainment like Television services, Sound system and many more. 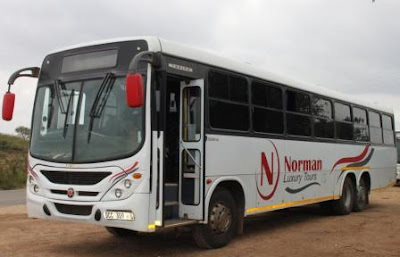 All of their buses have an A/C services for their passengers, Some of them have Charging system for passengers to charge their smartphones while they are traveling with Norman Luxury Tours. 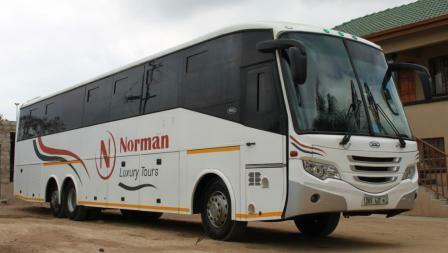 Norman Luxury Tours operates all over South African routes to transport people to various tourism destinations , school tours , scholar transport and other destinations.The company provides scholar transport from as far as north as Musina and all the five districts ( Capricorn , Mopani , Sekhukhune , Vhembe and Waterberg) of Limpopo province . Special Bus Hire Service are also available for special trips and occasions across the border into SADC region (Zimbabwe, Mozambique, Botswana, Namibia , Swaziland and Zambia.